As the world of electronics and smartphones advances day by day, some of you will ask if it isn’t a good thing to invest in companies which provide the best electronics and devices. An article posted on ‘money.cnn’ tells how Dave Kastener, a big fan of Apple thought about this and he acted accordingly. 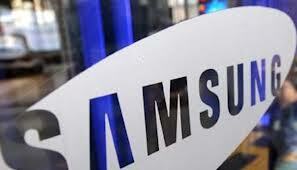 It isn’t so easy to access Samsung and it is also a risky thing and Dave Kastener found that. Samsung isn’t listed on the American exchange market, but on the Korean market, opposite to other big international companies, making it really hard to invest in the company. Dave Kastener noticed that Apple’s shares are going down these days and Samsung’s are improving more and more as its value increased with 24% in the last year. Americans can invest in foreign markets is the company has an official American Depository Recepit, but htis is not the case of Samsung. So you need to buy on the Grey Market as the possibility of going in Seoul is not available. Another good option is probably to go for a wider Korea fund or ETF available in the U.S. So, he decided to invest in a block of international stocks which includes Samsung, Hyundai and Posco. He actually decided to have a low risk on his investment and a big possibility of earning some real money. He is now waiting for some moves on the market to improve his stock size and earn more and more money. Do you think he is making a good move? What doyou think about Samsung investments?